There are no magic tricks to drive user engagement for your app, rather there are some proven strategies crafted with thoughts and made to work with efforts. Just transforming a cool idea into building an app is not all your hard earned money is invested for. You want your app to go well with your audience in order to have a better user engagement and retention. Craft your app store listing thoughtfully because users must have valid reasons to give your app a chance. Highlight benefits rather than features so that your audience gets convinced for downloading your app. Focus on introducing the value propositions of your app instead of making an attempt to teach your audience about how to use your app with on boarding. Aim to make your audience to get started with your app and hence avoid showing interface elements or screenshots in place of showing how your app can be beneficial for them. If your app needs any kind of authentication or login then remember not to use it up front so that your users get a taste of your app and get impressed by the benefits that it offers. Prompt them to create an account when they want to perform an action and that way they would be interested to share required personal information. Today’s audience is increasingly impatient and they want to get all the information they seek within seconds of their search. So if speed is not an inherent feature of your app then users won’t take longer to abandon it. Therefore, focus on speed and performance of your app. Take help from your analytics to know your users’ browsing behavior and based on the data send them customized notifications. Users won’t mind getting relevant pushes that are beneficial to them. Give your customers a way to contact you so that you can receive feedbacks from them and optimize your app experience according to that. Otherwise, they would post their feedback at the app store review and you would miss on this crucial information. 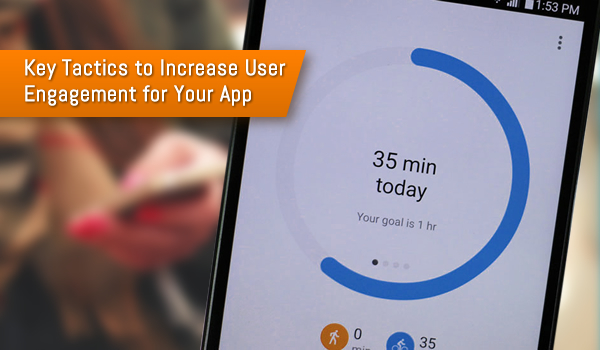 These are only few strategies to increase user experience for your app. Know your audience well and keep your focus on enhancing user experience would enable you to come up with a great app and successfully retain users. View more information on mobile application specialist agency, android app development agency and outsource iphone app development.